The immersive JETS experience blends mentoring, leadership training, interactive learning and time overseas. Over the course of three years, you’ll work in six functions across two industries. You’ll develop business knowledge that covers everything you need to start out as a business leader. You’ll strengthen your natural Rare Talent – and find new ones. You’ll take on significant responsibilities quite early on in your career. 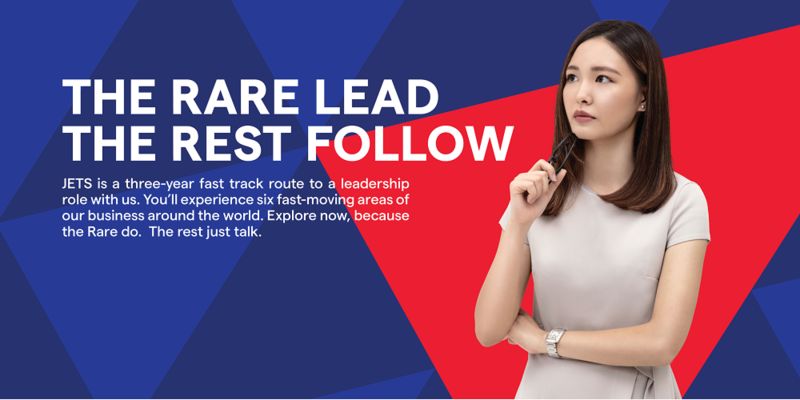 After three years, you’ll be on track to manage one of our businesses in some of the most exciting cities in Asia and beyond.